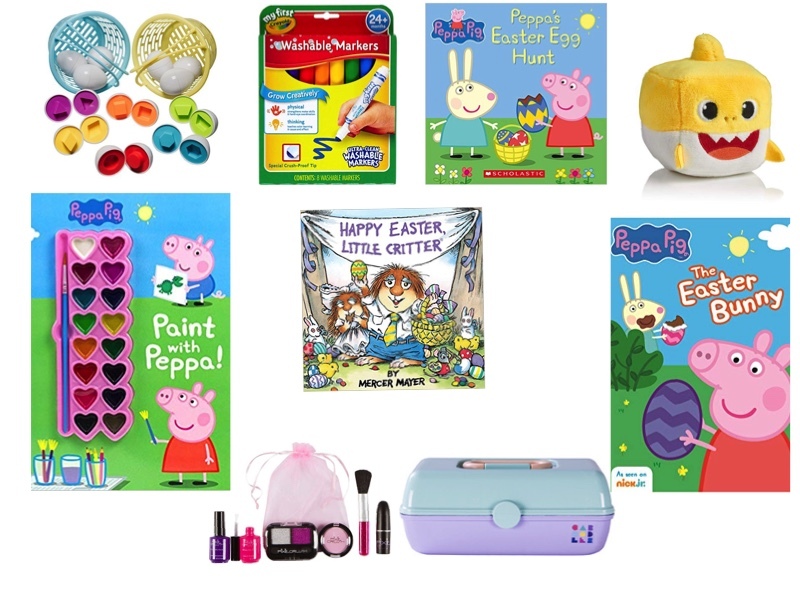 Sources : Easter matching eggs, washable markers, Peppa book, Baby shark toy, Paint with Peppa workbook, Little Critter book, Pretend make up, mini Caboodle and Peppa dvd. 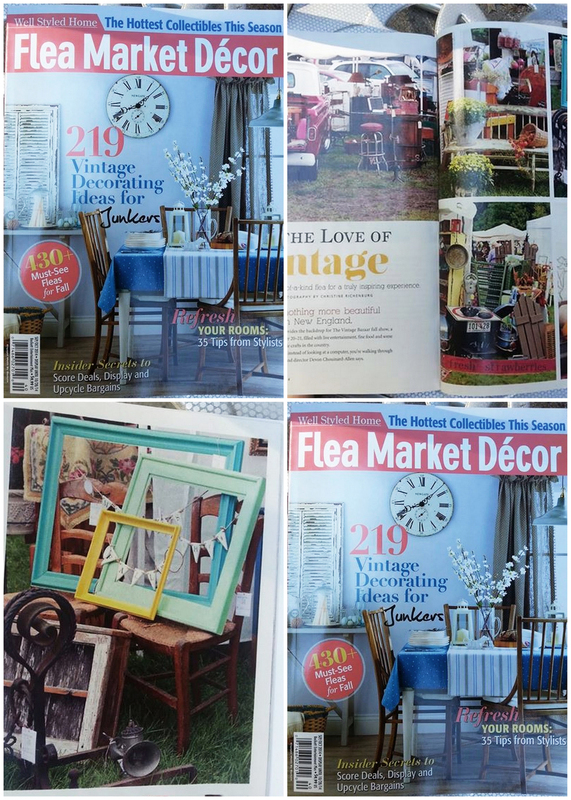 Easter is on April 21st this year and I am sharing some ideas on what to put in those baskets that I have used or similar to them . For babies, Toddler/preschooler and teens. The photo collage above are items I chose with Harper in mind. Last year she received everything from the top minus the baby shark ( Weston received for his birthday ) and the pretend make up and caboodle case is for this year. Almost everything was purchased from Amazon. The easter matching eggs are still a hit along with the books and dvd. 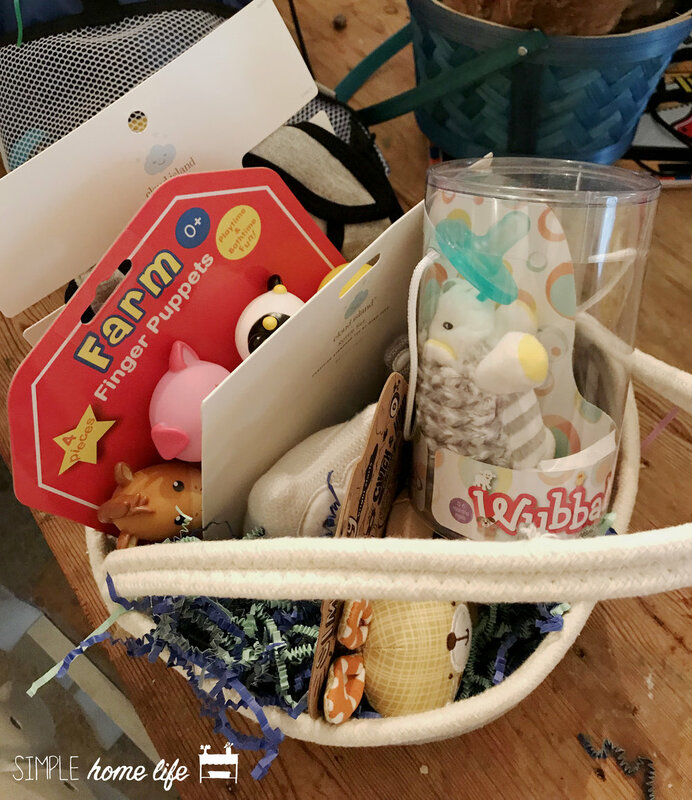 The baby shark is Weston’s favorite and it sings part of the song and have a replaceable battery plus It is small and perfect for a basket. Peppa pig is also a huge favorite around here and anything arts and crafts. Last year I found this bunny basket at Tjmaxx for Harper. Tjmaxx, Marshalls and HomeGoods are great to find cute baskets. Other great gifts are surprise bags or eggs filled with small toys and candy. Harper is obsessed with surprise bags. Along with chocolate bunnies and candy I like to mix in fruit snacks and snacks like goldfish. Some years the kids would get a sand bucket filled with goodies. The oldest one year had a hat. The easter bunny plans on using this basket again this year and buckets for the older kids. Weston was only a few weeks old last easter but he still got a easter basket. I used a soft basket and filled it with finger puppets, wubbanub, rattles and teething toys. This year he has a panda basket I found at AC.Moores but can not find it online. He will get beach items, like pails and towels and a few small toys with toddler safe snacks. Soft book, Carrot teether, bunny basket, bunny teether and hedgehog wubbanub. 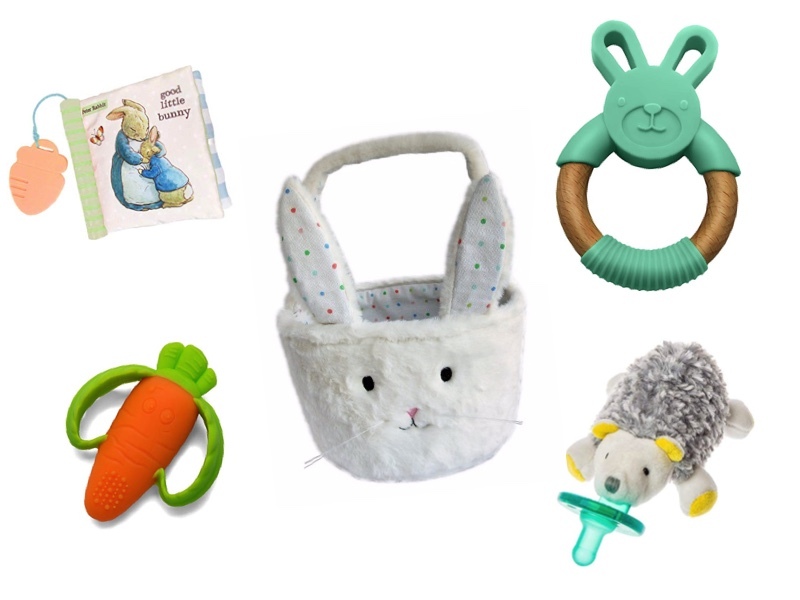 I like soft books for babies and the bunny and carrot teether are adorable and useful, the wubbanub is great idea if you use them. I also think a soft basket is a good choice and can be used for storage after. My older boys had these drawstring bags filled with candy, chocolate, toys, money, flip flops ( great teen idea ) and those little debbie easter cakes. Even though they are older they still like water guns and bubbles but they love getting candy and snacks. They all got huge water bottles which they used for baseball and summer because they drink a lot of water. If you have kids in spring sports like mine baseball batting gloves, socks and balls are always a good idea. For our furry family member Zoey, she always gets a toy and some treats. I have to admit I still have a few more items to get but I’m thankful Easter is at the end of the month this year. With all the birthdays we have in March it gets busy around here. You can read about Weston’s wild one party here. You can visit my easter idea page on Amazon here to see all the items listed available on amazon. I will also be sharing the kids baskets this year on easter via my instagram. 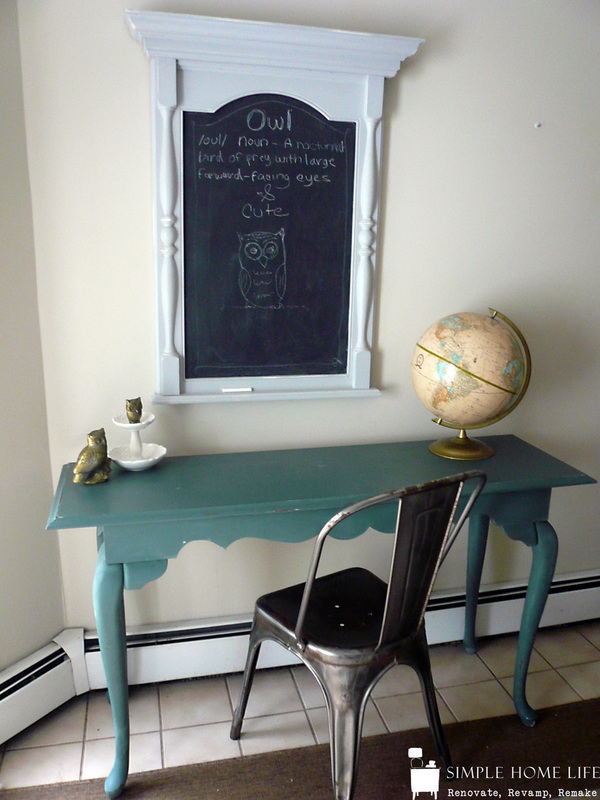 For the month of April I plan on sharing my new workspace, the chalkboard hall I painted in November, some decor updates and Weston’s first year and favorite baby items. Make sure you follow me for those posts via facebook, instagram, twitter and bloglovin. You can find the links below.